Every year, Jeep enthusiasts come from all over to the Bantam Jeep Heritage Festival held at Coopers Lake Campground. They enjoy off-road courses, shopping vendors, and catching up with other enthusiasts. 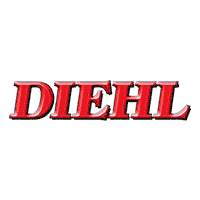 Diehl Automotive brings the latest Jeep models to Jeep Fest. We even host the ‘Ride with a Guide’ event, allowing festival attendees to take a new Jeep through an off-road course. MotorTrend commends the Jeep Brand for their ability to nail the remake of an icon. With a vehicle of the Wrangler’s status, designers had to be careful. Do too much, or too little, and enthusiasts will howl. Relocating the Jeep badge, updating the lights, and other simple changes revolutionized the Wrangler and helped catapult it to the top of MotorTrend’s list. Blind-spot monitoring, rear cross-traffic alert, and LED headlights are available. The Wrangler can also apply maximum braking force in a panic-braking situation, even if the driver hasn’t pushed the pedal all the way down. The Jeep is impossible to beat. It’s remarkably well-rounded and deserving of SUV of the Year.